There’s something magical about an inspired entrepreneur on a mission. That infectious energy lifts those around them, elevates their offering and captures the imagination of their audience. When you harness your vitality and focus your energy on the things that matter most, it sustains, empowers and ensures that business becomes a joy. Vision and Vitality is an intimate and immersive two-day retreat created for visionary entrepreneurs. Designed to help you get to the very heart of what it takes to make your unique business thrive it will give you the confidence and framework to achieve your goals for the year ahead. This is the perfect retreat to get you focused, motivated and crystal clear on your way forward. If you want to find more vitality, inspiration and meaning in your work for 2019, this is the workshop for you. You’ll leave feeling inspired, energised and with just what you need to take your business where you want it to go. Every entrepreneur needs a clear vision. You know that for your business to truly thrive, you need to refine that vision, align it with what matters right now and plan for making it a reality. You’re smart enough to realise that this simply won’t happen unless you dedicate the time and the space for it. Planning for the future is an essential part of leading a successful business. When you combine that with an inspirational break away, magical things can happen. This workshop has been crafted to get right to the heart of what’s most important to you, put fire in your belly, ignite your passion and feed your creativity. Together we’ll focus in on what's most important, clarify your goals, tackle what’s holding you back and unlock the potential within your business. This is the foundation for an empowered year and inspired living. "Thank you so very much! The workshop was an absolutely transformative experience for me. Challenging to break through the blocks but worth the struggle. Your attention to detail was stupendous - the venue so inspiring and food absolutely delicious. A fab group of women too. I left on a complete high knowing there is a clear way forward." A powerful series of sessions that will get to the very heart of where you want to take your business in the coming months. Hone in on what really mattes to you, and how that translates to running your business everyday. Far more than simple ' business planning', this is about connecting your personal values and your inspiration with your business mission to create a set of unshakeable goals for the year ahead. Know what you stand for and the change you seek to make in the world and align yourself with it in a powerful and motivating way. Unlock the habits that will enable your business to thrive and deliver on your goals for 2019. Recognise your blind spots and move past what's holding you back. Take a closer look and prepare for a thoroughly inspirational and freeing year. You'll leave with a simple and easy to execute plan that's inspirational, realistic and flexible. You'll have a clear sense of priorities and practical ways to help get the balance right for you. With sessions on enhancing productivity, working with your body, not against it and creating a daily rhythm that will enable you and your business to truly thrive all the bases are covered for a thoroughly successful year ahead. Enjoy the comfort and confidence that comes with a clear sense of direction. A break away in a timeless setting to get back in touch with what matters most. Our setting for Vision and Vitality 2019 is a venue that is close to my heart in the Cotswolds. The Guildhouse is a simple but stunning Grade II listed home away from home tucked in the Vale of Evesham with breathtaking views over the countryside. 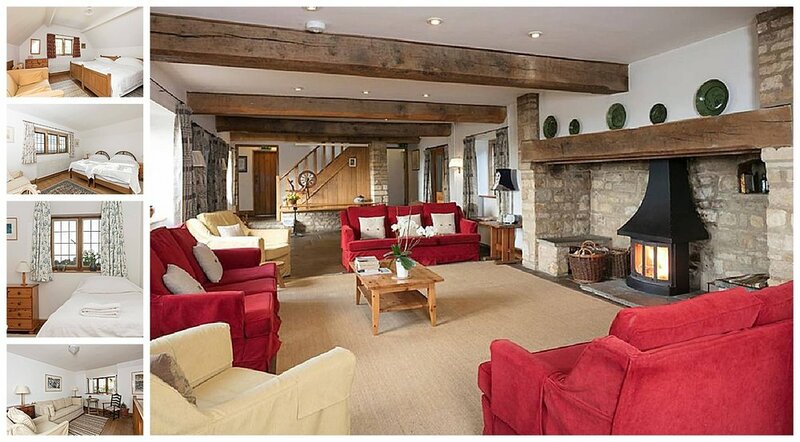 Set in the timeless village of Stanton with it's picture-book Cotswold stone cottages, it first captured by heart in 2005 when I hosted a retreat there. Coming back year after year for retreats before and after I had the children, the Guildhouse is home to many happy memories and is a truly transformational space. So much is possible when you take yourself away somewhere beautiful and truly immerse yourself in an experience away from the rigours of everyday. I get so much joy from holding a space where you can feel truly nurtured and supported to develop yourself and your business in inspirational surroundings. With good food and good company almost anything is possible! We will be joined on this retreat by the lovely Bex Partridge of Botanical Tales. Not only is Bex a stunning floral artist and kindred creative, nature-loving spirit but she is also a rather fabulous chef, and will be cooking delicious vegetarian food for us over the two days. The beauty of a retreat is that you have time away from the hustle of everyday to reconnect with what really matters. Morning and evening optional yoga and meditation sessions are available to you if you’d like to give your body and mind a real treat and tap in more deeply to your inner wisdom. At the end of our workshop sessions on day one you will also have plenty of time before supper to enjoy our beautiful surroundings, take a walk, take a rest or take time to get to know your fellow participants. If you would like to pay in two instalments, please book via the link below. The balance of £715 will be due by 15th March and you will be emailed a reminder. Elizabeth is a highly successful coach, mentor, author and editor. 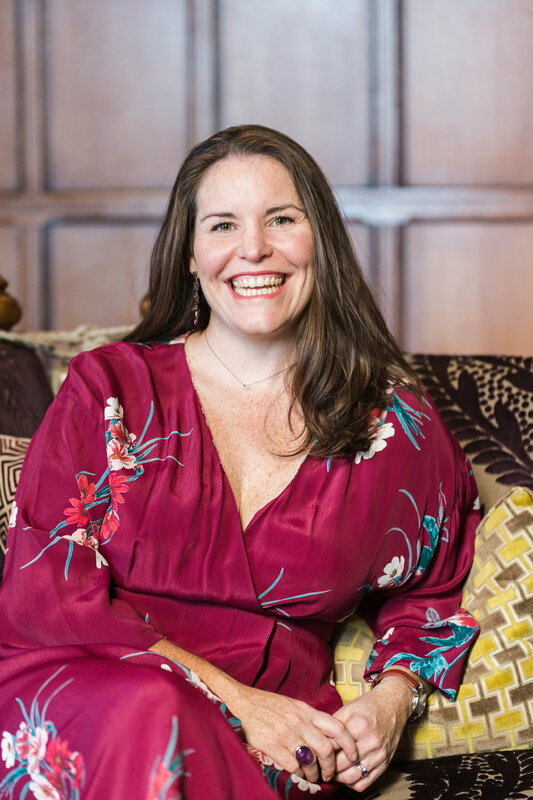 She can bring crystal clarity in moments and empowers her clients to live and work more authentically, the secret to a thriving business. Working with Elizabeth will leave you inspired and raring to go in the right direction. This retreat will unlock the vitality of your business and align you with what really matters. WHAT ARE THE TIMINGS OF THE retreat? The retreat begins at 9.00am on Tuesday 19th March and ends at 4pm Wednesday 20th March. When you arrive at the venue you have time to settle in and make yourself at home before our first session commences at 10am. Yes there is plenty of parking and the venue is a 20 minute cab ride from Evesham rail station. Can I opt for a single room? The nature of our venue means that all the accommodation is shared so it is not possible to allocate single rooms. There is however plenty of space both in and around the venue to afford you quiet time and space should you need it. DO I NEED TO DO ANY PREPARATION BEFORE THE retreat? To make the most of your time it pays to come prepared. I've made things easy for you with minimal prep and some lovely audios you can listen to on the go to get you on the right frame of mind for our work together. I'll send out everything you need including a kit list an itinerary by email in plenty of time to get the most from your time away. I understand that in very occasional circumstances you may not be able to take up your place on the retreat. For bookings cancelled after the 31st January 2019 the full fee is payable and is non refundable. You may send someone in your place and must let me know at the time of cancellation who it will be. It would be your responsibility to sort out financial arrangements with your stand-in so you are not out of pocket as i'm sure you understand, I cannot take on that responsibility for you. The course content and all course materials are protected by copyright. Please respect the time, expertise and effort made to prepare this experience for you and do not copy, replicate, or share anything from the workshop or supporting documentation without prior written permission. Thank you.